UK: Norwegian developer Statkraft has exited the Forewind consortium developing the four 1.2GW projects in the Dogger Bank zone. Two of the consortium partners have taken on a greater share in the developments. Compatriot Statoil and Scottish utility SSE have increased their stakes from 25% to 37.5% each upon Statkrafts exit. Fellow consortium partner Innogy (formerly RWE Innogy) has kept its 25% stake in the projects. SSE's director of development, Mike Seaton, said: "This acquisition represents the next step in the development of the Dogger Bank Offshore Wind development, SSE will continue to work alongside the remaining partners in the Forewind consortium to progress these projects." "By increasing our share, we strengthen Statoil's long-term portfolio materiality and gain additional optionality. This is in line with our strategy to gradually complement Statoil's oil and gas portfolio with profitable renewable energy and other low-carbon solutions," said Stephen Bull, Statoil's senior vice president for offshore wind. 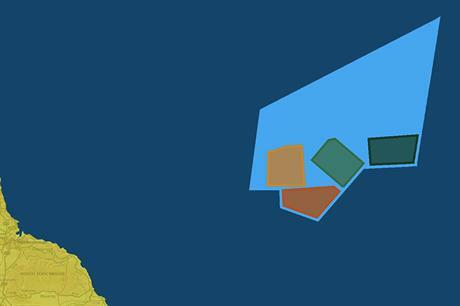 Dogger Bank comprises four 1.2GW projects, located 130km from the UK's east coast. The four projects, to be built in two phases, were permited in 2015. In September 2016, Statkraft announced plans to divest from its offshore activities entirely, claiming the industry was "too capital intensive". It agreed with regular project partner Statoil to transfer its 40% share and operatorship of the 317MW Sheringham Shoal project. Statoil originally also had a 40% stake in the project, the remaining 20% is owned by the Green Investment Bank. Statkraft also said it was considering withdrawing from the under-construction 402MW Dudgeon site. Dudgeon is also part-owned by renewable energy firm Masdar and Statoil, which is also acting as the project operator. Statkraft said at the time it would continue developing the permitted 900MW Triton Knoll offshore wind project with Innogy to a final investment decision before selling its share.